Electricity rates are high and continue to rise. Solar produces green and renewable power for your property at minimal cost. Save money now and lock in reduced rates with a system that works for 25 years! Solaron is an experienced solar installer, and we only use SunPower solar panels, guaranteed for 25 years of life. This makes for a winning solar combination for of our clients in Concord. In addition to saving you money from day one, buying solar is the best thing to do for the future! Because solar power produces power without burning fossil fuels, it is most certainly the road of the future. So it is the best thing to do for your planet, family, wallet and future! 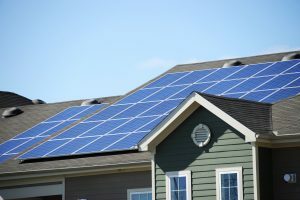 Is solar power affordable? With the help of a Solaron sales agent, yes it is! Both municipalities and governments offer different incentive programs to effectively cut the cost of solar installations. These bonuses depend upon your specific area, but can considerably cut the cost of buying your solar panels. So call Solaron today to get more information about how you can save money and the future by means of solar power!